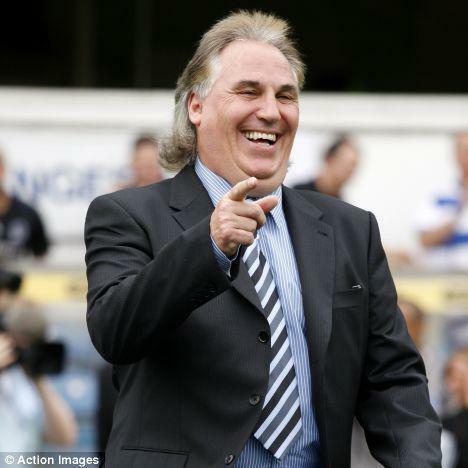 Gerry Francis is a fantastic supporter of the charity. He lives in Bagshot with his wife Julie and his three children Adam, Jake and Chloe and is ideally situated not only to receive and present cheques but to see at first hand the work the charity carries out for groups, schools and individuals. Gerry played for England on 12 occasions scoring 3 goals and was captain in the 1975/6 season. He managed Tottenham Hotspur from 1994-97 and was appointed Director of Football at Queens Park Rangers in 1998, he is currently the first team coach for Stoke City. Gerry's hobbies include racing pigeons, squash and Winston Churchill. The charity is appreciative of all the support that Gerry gives to us and he always brings a cheery smile for our special children.